Publisher3D PDF is a easy-to-use and inexpensive software product that allows you to import 3D models and then publish industry standard 3D PDF files. 3D PDF files can be viewed with Adobe Reader™ without any additional plug-ins, making it easy to share your 3D designs with anyone. 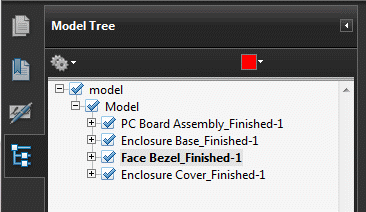 Publisher3D PDF is an easy to use software application for creating industry standard PDF files with embedded 3D models. 3D PDF files created with Publisher3D PDF can then be viewed in the standard, and freely available, Adobe Reader. No plug-ins to Reader are needed for rotating, panning and interactive with 3D objects in the resulting 3D PDF file. Import common formats such as Solid Edge, SolidWorks, Inventor, SketchUp, Rhino3D and more. 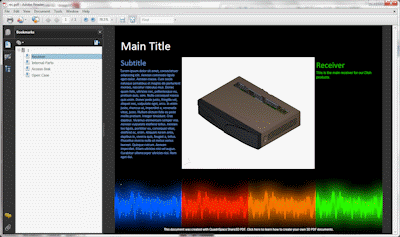 Create and publish an animated explode view in 3D PDF. Publisher3D PDF is an easy to use software application for creating industry standard PDF files with embedded 3D models. 3D PDF files created with Share3D can then be viewed in the standard, and freely available, Adobe Reader. No plug-ins to Reader are needed for rotating, panning and interactive with 3D objects in the resulting 3D PDF file. 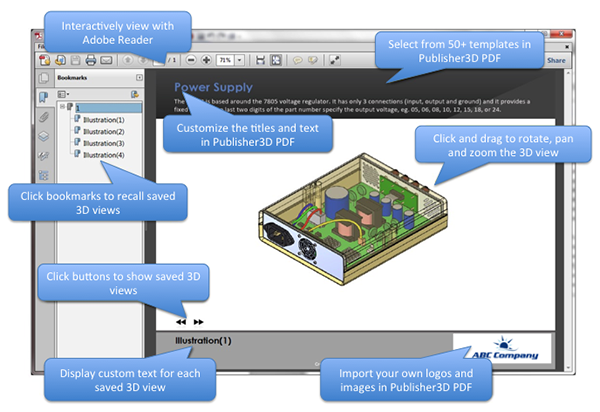 Publisher3D PDF publishes PDF files that include embedded 3D content that can be rotated, panned and zoomed by anyone with Adobe Reader3D 9 or higher. 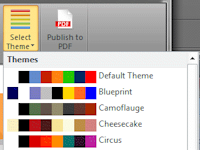 Publisher3D PDF includes more than 50 templates that seamlessly publish to PDF complete with interactive lists, tables and dynamic text display. Need more powerful 3D tools? 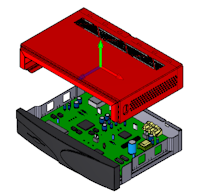 Publisher3D Professional includes 3D tools needed for manufacturing projects. 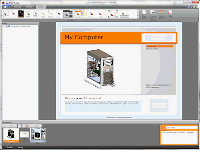 Document3D Professional Suite includes both of our Professional Edition products, and then some. Professional Edition products include easy click-and-drag tools for adding markups to your illustrations. Each illustration can have it's own set of markups allowing you to easily highlight areas that require attention. In addition, you can easily add balloons to the illustration that automatically match the parts list numbering. Publisher3D PDF is limited to illustrations that show an exploded view either fully collapsed or fully exploded. This makes it impossible to create a step-by-step process. With the Professional Edition, you can capture illustrations of the exploded state at each individual step allowing you to set up a sequence of steps that are animated individually in the resulting 3D PDF file. 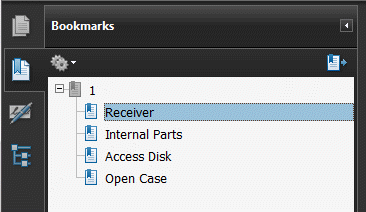 Recipients of PDF files that include step-by-step processes can easily click on next and previous buttons to step through the instructions one step at a time making it very easy to communicate complex procedures or marketable features of your product. Professional Edition products includes new features and templates that allow you to publish your 3D model with a clickable parts lists. The Professional software even includes a full-featured parts list editor that makes it easy to modify the parts lists that is automatically generated from your 3D data. 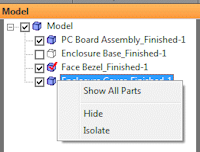 Once the parts list is published to 3D PDF, recipients of the PDF file can click on rows in the list to highlight parts, or click on parts in the 3D scene to highlight rows in the parts lists. Various templates allow you to pick the right page design for your project or with Pages3D Professional customize the page layout too. With Publisher3D Professional, you can expand your outputs to create images, vectors, animations, Word files and robust interactive documents that are viewable with the freely available QuadriSpace Reader3D. Professional Edition products offer a more, err "professional" experience with a customizable user interface, custom render styles, custom materials, configurable user settings and much more providing a solid foundation for the generation of professional quality 3D PDF files.